Amazon's Whole Foods unit stealing customers from Kroger? CINCINNATI -- It didn’t take long for Amazon Inc. to upset the grocery cart at Walmart, Kroger, Costco and Trader Joe’s. A new report by the research firm Thasos shows Whole Foods gained a lot of new foot traffic from established grocery competitors in September -- driven by Amazon’s price cuts on organic products. 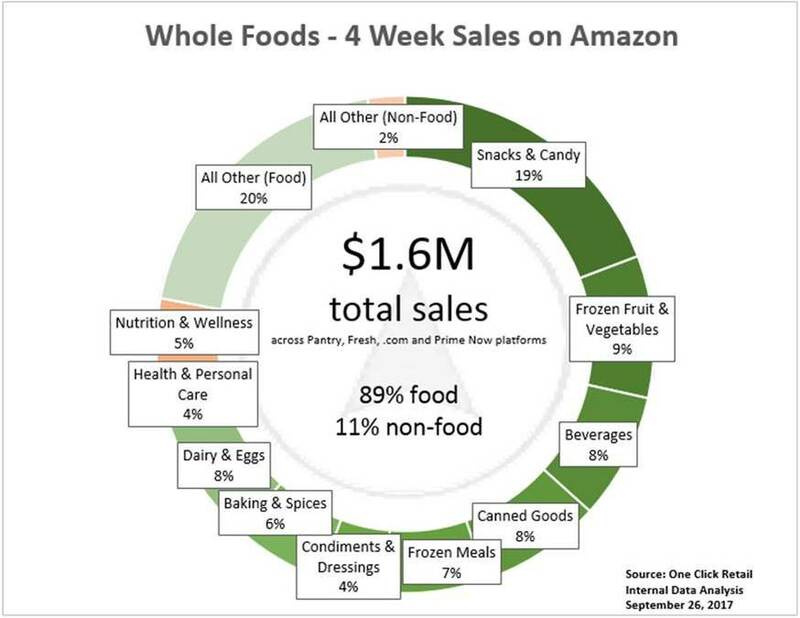 The foot-traffic analysis follows a separate study by One Click Retail, showing Amazon sold $1.6 million in Whole Foods products in the first four weeks after buying the company. Thasos uses mobile phones to track customer trips to various retailers. It documented a 17 percent increase in traffic to Whole Foods in the week following Amazon’s price cuts. “Walmart’s regular customers accounted for 24 percent of Whole Foods’ new customers during the week of the price reduction,” said the Oct. 3 report. Loyal Kroger customers accounted for 16 percent of Whole Foods’ gains, followed by Costco at 14 percent. Higher-income shoppers were more likely to sample the new prices at Whole Foods, and rival organic chains such as Trader Joe’s and Sprouts lost a higher percentage of customers to Amazon’s lower prices.